I did it. I went, I mingled, and I made some connections. Y’all, it was seriously out of my comfort zone. The entire time I was struggling not to compare myself. I don’t feel like the “typical” blogger… I don’t always present my best- on purpose. I bare my heart and soul on this little site. Last night, as people were asking for my blog name/site I was hit with just how transparent I am here… and it was scary to give people my URL and ask them to visit. Even though it was out of my comfort zone, it made me realize that my blog is unique because I am unique. I don’t have a “typical” blog, because it is about me, and there is no one quite like me. I think that is a good take-away. My first TriFABB meet up was pretty awesome… we got a preview of the fashion show, enjoyed a meal from PDQ (seriously impressed) and got some free meal tickets (so we get to go back! ), they had wine tasting from Little Black Dress Wine (I was too nervous to sample but totally wish I had), a tour of the whole building and got an overview of the kinds of booths that would be available (all kinds of shopping was represented- home, beauty, clothing, you name it and seriously it’s going to be there), and got some pretty rocking swag bags. 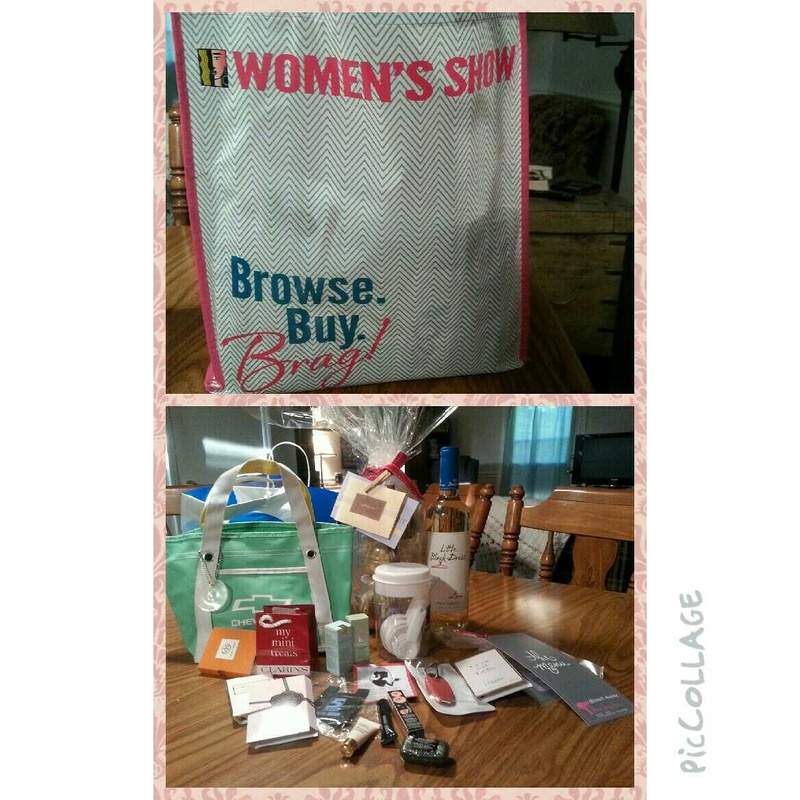 These bags had everything including beauty samples, a bottle of wine, mini bundt cakes, coupons… so much! So, did I meet my goal? Yes. I made several connections, I introduced myself, I went. Did I compare myself? Yes… and then talked myself down. It wasn’t as easy as I thought it was going to be… y’all, I have to be honest some people were really hard to start conversations with. I found myself frustrated with the incredible presence of technology. Isn’t that funny? I’m on a blog complaining about technology? Nevertheless, it’s how I felt. I find it intimidating to try to talk to people who are clicking around on their phones. I have already touched on it, but I found myself feeling very conflicted. My Facbook and my Instragram are private… I don’t let a lot of people in. Yet, I’m posting my heart and soul on this blog. What are my internet boundaries? How am I going to navigate this blogging world? I’ve already established that my blog is not like everyone else’s, so just how different am I going to be? These are things I’m thinking about, but I’d love to hear your thoughts.